Where will Apple go from here? 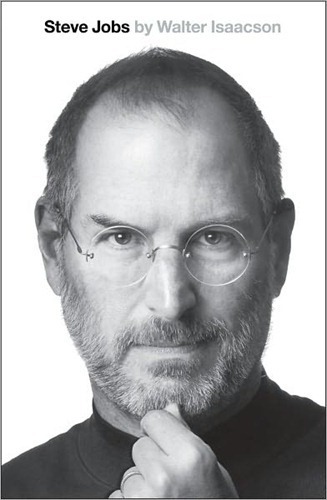 In losing Steve Jobs, the company has lost its founder, its rescuer, its leader and its champion. Jobs' philosophy is simple. Above all other considerations - such as money, market forces, or popular opinion - Jobs believed in the sanctity of the perfectly simple product. To deliver this he built companies to respect and serve two things: origination and purity of vision. Apple, NeXT and Pixar. "Our task is to read things that are not yet on the page," he said. "People don't know what they want until you show it to them." Whether you're a technophile or not, you have to admit that the world is a better place with computers that anyone can use. Apple's products are focused on creating a positive and unintimidating user experience - rather than computers that need a technophile to have the patience to bear with their cryptic error messages and idiosyncratic behaviours. Without Steve Jobs, there really is doubt that the industry would have moved in that direction at all. Computers could have stayed forever with the specialists, the nerds and the scientists. But who will carry that standard now, and can the company maintain it with it's chief exponent gone? Jony Ive is the nearest Apple has to being Jobs' spiritual successor: the mastermind designer behind the iMac, the iPod, the iPhone and pretty much all the other popular products too. But Ive was hugely dependent on Jobs. When Jobs was away sick for a period in 2009, Ive was very aware of "how hard it had been to keep things going while he was away". It seems that simplicity and purity are among the hardest paths to tread - at least in technology and in business. Jobs' story is one of the greatest examples of the American dream becoming reality. It literally starts in a garage and ends with the most valuable company in the world - a company that genuinely "made a dent in the universe", as intended by its founder from the very start. Walter Isaacson's biography of Jobs is extremely well made, and Jobs' story just keeps getting better until its untimely end.